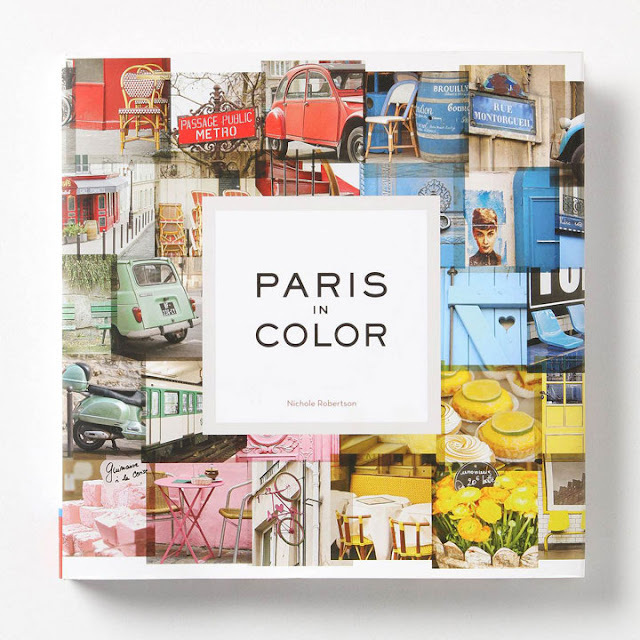 Nichole Robertson's Paris In Color, available at Amazon.com and bookshops. Falling in love with a city is not unlike falling in love with a person. Some cities send you diving headlong into a fiery romance, while others require a more gradual period of introduction. Paris for me, as for many, was love at first sight, but I'm a bit wary of ever living there; what if spending too much time together inures me to its charms? After all, how many wrought-ironed balconies and picture-perfect clouds can you take before you start longing for greener pastures? When do we grow tired of the cities we once loved? Well, if you're anything like Nichole Robertson of Little Brown Pen, the answer is: potentially never, if you approach a familiar city with fresh eyes. She and her husband, Evan (a terrific illustrator), moved to Paris three years ago, and in the process of exploring their new home, Nichole developed a keen eye for beautiful contrasts between the soft creams and grays of Paris and splashes of bright color. The Paris Color Project photos are best viewed as a series. All photos Nichole Robertson. The end result was The Paris Color Project, a magnificently captured chronicle of Paris' charm, which is grounded not in its famous attractions but in the understated details you find subtly nestled in its winding streets: a row of cafe chairs; a lamplit, rainy sidewalk; flowers on a windowsill. And in the process of documenting these little sights, Nichole began to experience the city in a new way. In her own words, "Searching for colors is a surprisingly democratic process, as it's just as likely to appear on something spectacular (Notre Dame) as it is on something pedestrian (a trash can). I didn't question whether the object was famous, old, or important, I just shot it. The serendipitous nature of the process meant that I never had a plan, and that was part of the fun." You can buy these photos as postcards... but I wouldn't want to give them away! All photos Nichole Robertson. As you begin to plan your holiday gift shopping, consider gifting one of Nichole or Evan's beautiful photos or prints - they're available through their respective Etsy shops (the links are below). 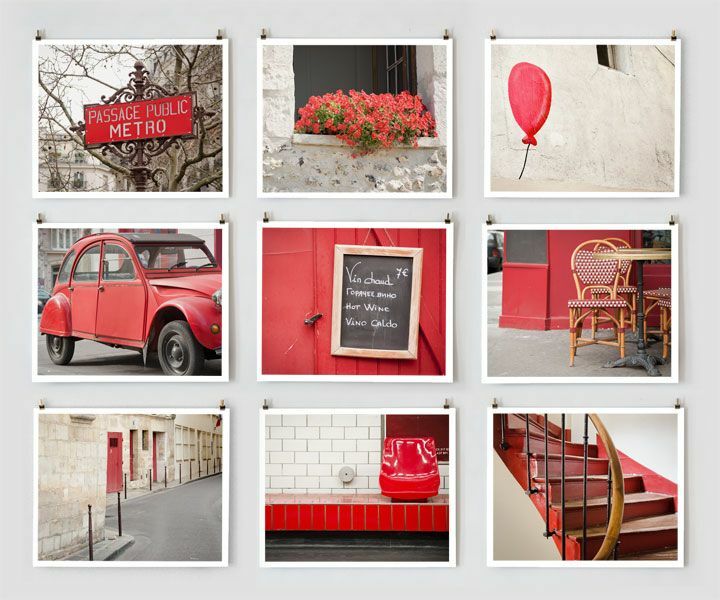 You can also gift the Paris in Color book, as well as calendars and postcards. Thanks, Nichole, for giving us a new perspective on experiencing the cities we love (and for letting me share your beautiful work)! 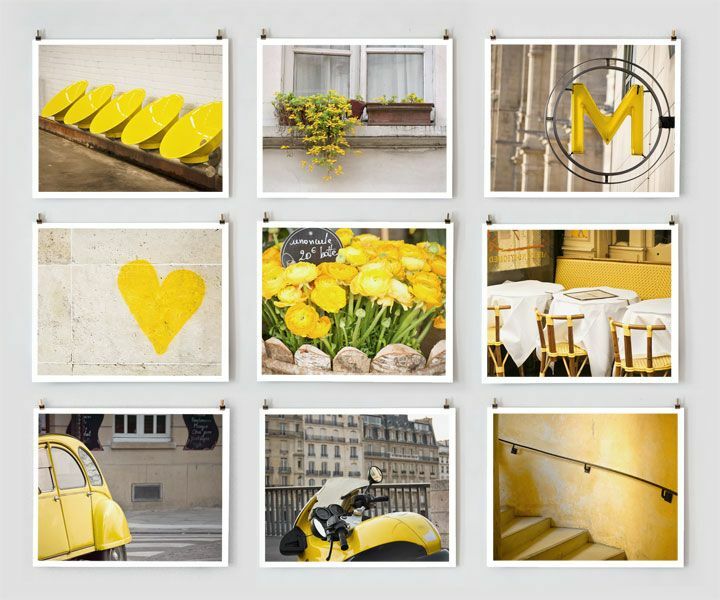 - I just bought my 2013 Paris Color Project calendar, and I love the suggestion of putting each month's page in a picture frame for my desk. You can also buy the book, as well as individual prints and postcards from Nichole's Etsy shop. - Evan Robertson creates beautiful "literature-inspired" quotation prints, also featured on Little Brown Pen. You can view and purchase them from his Etsy shop (my favorite to date is the John Keats fading leaf print).